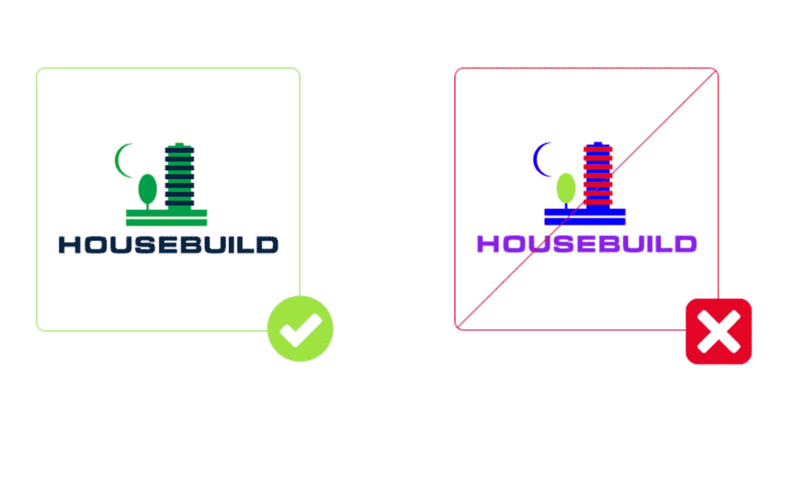 What colour scheme should you choose for the construction company logo design? Which colours should you give preference to? How do you choose the font? The company logo design is one of the key elements of the whole brand identity. It is what your client sees on business cards, catalogues and your adverts. Great construction Branding will help customers remember you. It sets you apart from your competitors while highlighting your strengths. A memorable logo will help your company have more loyal customers who are more likely to do multiple transactions with you. 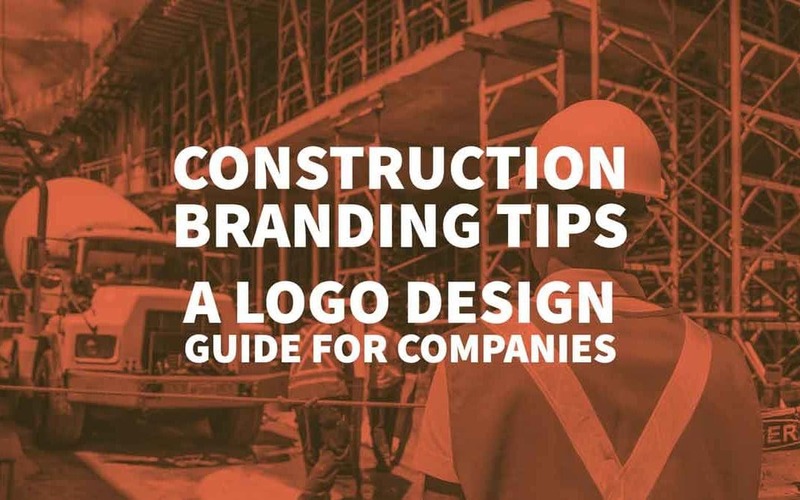 So how should you design a construction logo to attract clients and partners alike? Before you go ahead and start choosing an image, colours and, font, it would be good to pause and take a look at the logos of your competitors. This will help you pinpoint what you like and do not like in their logos and also what feelings you are experiencing from them. Such an analysis will help you to avoid mistakes your competitors might have made and make a logo that fits the image you want your company to project. Another reason to pay attention to the logos of competitors is to ensure you do not inadvertently copy a competitors logo in any way. Your logo should not resemble the sign of any other company otherwise when potential clients see your brand there is a chance that they will confuse you with your competitors. Besides this, you might also infringe copyright laws, so it is always best to err on the side of caution. Every client wants to find a reliable and stable construction company that will solve all his/her problems. To have the logo inspire confidence in your customers, you need to pay attention to all the following details when in the process of creating it: colour, font, and image. When designing a logo, you can choose between one or more of these options: text, combined, alphanumeric and symbolic logo. This view assumes the presence of an image or symbol. 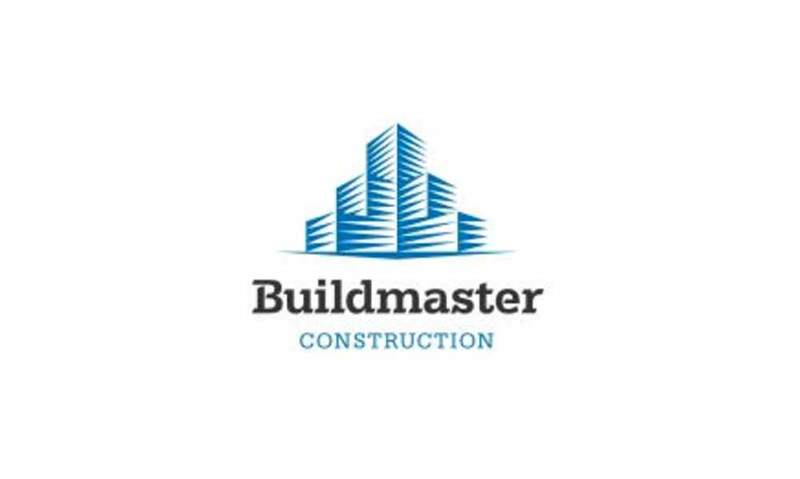 The most common variant of the construction company logo is a symbolic image with the image of bricks, houses, buildings, and construction equipment. This logo speaks directly about your activities; it is easy to understand and easy to remember. The only drawback of this logo is that it is hard to ensure that your logo is correctly interpreted and accurately recalled by clients. This option is very convenient if you have a renowned company name. Such a logo is easy to remember especially if the title itself indicates your enterprise’s activities. If you take this minimalist option, then you must pay significant attention to the font used. This kind of logo is a win-win option. There is both a name and an image within it, allowing clients to remember and understand the meaning you wish to convey immediately. If you choose the right composition and layout of these logo elements, it will be desirable to customers. This kind of logo implies the presence of only a few characters in its logo. Most often it is preferred by companies that decide to abandon a long name. During the creation of your construction branding, colour plays an important role. It is imperative to give serious consideration to the choice of colours to be used within a logo. The effectiveness of the logo directly depends on the colour schemes used and the emotions you wish your logo to invoke. A good shade will create the proper feelings to ensure your brand is remembered by your clients either because the colour scheme invokes a sense of trust, reliability, a sense of dependability – while adverse colour schemes will push potential customers away. The right shade will help convey the right mood. A red shade is associated with passion, force, and sometimes aggression so it is not advisable that all firms should use it within their logo. Purple is a colour associated with luxury, which will invoke an image of the high costs of your services but will not transmit a message about the reliability or stability of your company. There is a science of colour which will help you determine the best hues to choose from your logo. It takes into account the psychology of human perception. You can get more details on the psychology of colour from here. First of all, there are calm and dark shades, such as blue, green, brown and black. It is of utmost importance to avoid using an abundance of different colours in a logo. You definitely should not exceed three colours within your logo because it will not be associated with a serious company. The best way to combine colours is by using the 60/30/10 rule. That is, the percentage of colours on the logo should be split 60% of the primary colour, 30% of a secondary colour and 10% of a tertiary colour. You should use colours that either is complementary shades or ones that are opposite to each other as these schemes tend to be the best looking. One of the most attractive options for a construction company branding is a black and white logo. This combination always looks very expensive and classy. It also conveys the necessary sense of reliability and stability. Black and white is also a very classic combination, which is always relevant to logo creation. Choosing a black and white scheme will ensure you do not have to worry that someday your logo will need a redesign as it has gone out of style or become tacky. Yellow, orange, and brown are particularly suited construction logo design as psychologists indicate that people associate these colours with calmness and trust. These colours also invoke feelings of reliability. If you decide to use colour within your logo, then orange and yellow have long been employed in the construction industry and are perfect for these purposes. The font in the logo must also be in harmony with the image. Besides colour, the font should also give indications about your company and what the client expects from you – stability, reliability, strength, stamina. More details about the types of fonts you can use can be read here. For a construction Branding, it is better to use straight lined fonts which communicate precision as opposed to a designer and patterned fonts. It is also important to ensure that the font is legible therefore choose bold and expressive fonts which contain no minuscule elements which might confuse. The font should also be easily resizable so that it can be positioned on all your company documents, i.e. it should look good on your business card, letterheads and any other location necessary. You may use more than one font within your logo, but it is not advisable to use more than two which obviously should complement each other. To ensure a balanced logo, you must pay attention to the placement of the name and icon. At the start of the logo design process, it is necessary to decide which element you want to emphasise. If you want to place a greater emphasis on the name of the company you ought to make the font larger and more expressive than the image. You should also experiment with the location of both the text and image to find the perfect balance. All elements of the logo should give the impression of your company as both serious and stable company, a company that inspires trust. Do not add extra details. The logo should be harmonious and attractive. Your logo should impart the right emotions and feelings and should indicate exactly what your firm does. The font should be legible and easy to understand. Your logo should be both creative and exciting so that potential clients will more likely remember it. Avoid an overabundance of items. The logo should fully correspond to your company’s image and its activities. Your logo is a sign of your brand and therefore must be unique. You created a creative and impressive logo for your company, it looks great on your website, but when you put it on a document, it is indistinguishable. Think carefully about where you are potentially going to use your logo. Checking out your competitor’s logos allows you to avoid their mistakes. You will also avoid accidentally copying their images which could land you in a legal minefield. When creating a logo, you need to understand what your customers and partners are expecting. Ensure that this is incorporated into the overall image encompassed by your logo. To make it easier to work with a logo, it is best to create it in vector program which will allow you to scale the design without compromising on quality. This allows you to use the image in all areas from large billboards all the way down to business cards. If you have seen a logo and were particularly fond of it, you cannot just create an identical one and change a couple of elements. This is entirely unethical, and most importantly it is illegal. This could land you in serious trouble with lawsuits. So It will be much better (and safer) if the logos you like inspire you to create a unique logo that demonstrates your company’s unique attributes. You and your team of designers obviously can do both great and high-quality work, but you cannot stop there. When creating a logo, it is important to get a response from customers and be interested in their opinion about your brand. To create a high-quality construction company logo design, it is necessary to take into account many factors, because a puzzle is formed from a multitude of individual pieces. When they are put together correctly, you can see the whole picture. The logo is the hallmark of your construction Branding. If you follow our advice, you will certainly make a high-quality logo which will undoubtedly lead a lot of customers and new profitable partners to you. It’s nice that you mentioned common mistakes along with the best practices. One thing I would like to recommend is to try to doodle and distract yourself for a moment so next time you can come up with a fresh vision.